The expertise offered by Dr. Shebani is what you need to build a foundation for good oral health for the rest of your child’s life. You need the services of a caring professional like Dr. Shebani. 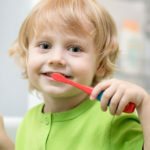 She is the best dentist in Vancouver WA to meet the concerns of your child’s dental care and lay the base for a strong, healthy pair of teeth lifelong. Your child’s teeth and dental as well as oral health are an important responsibility and Dr. Shebani is a committed, capable and caring practitioner who takes this very seriously. When it comes to meeting your child’s dental needs, only the best will do! So, trust only the best dentist in Vancouver WA for your child’s care and go to Dr. Shebani.